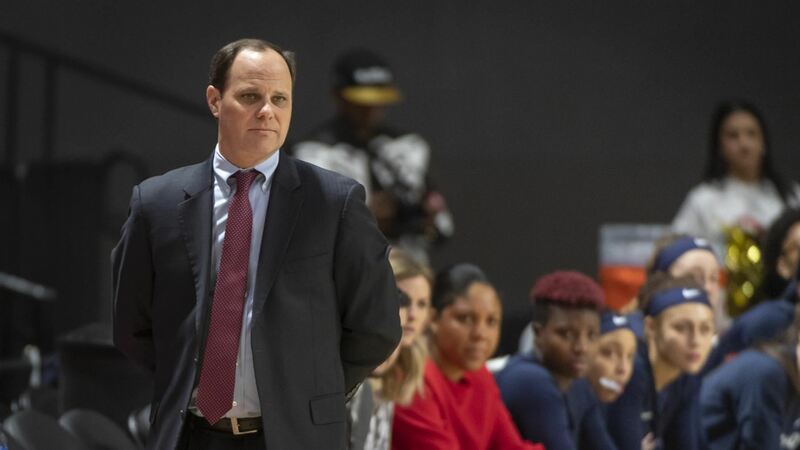 University of Richmond Vice President and Director of Athletics John Hardt announced the appointment of Aaron Roussell as head women’s basketball coach Tuesday night. 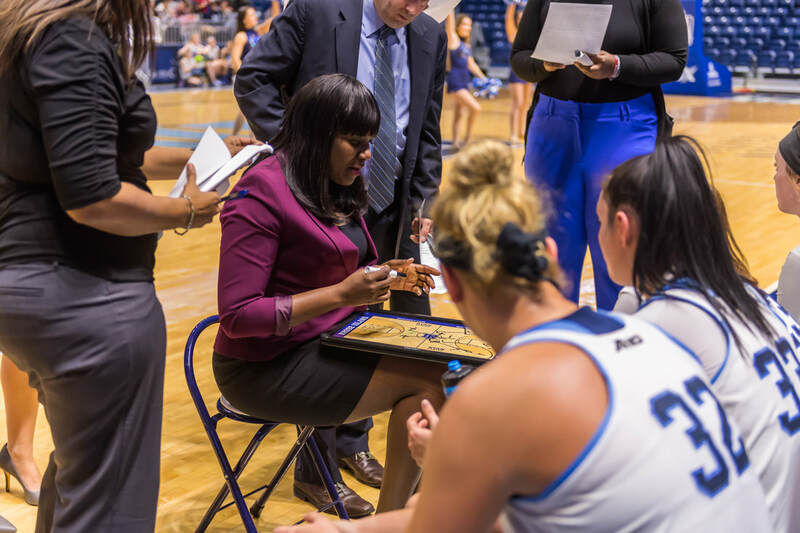 Roussell brings over 15 years of head coaching experience and over 300 career victories to Richmond, including the past seven highly successful years as the head coach at Bucknell University. Roussell (pronounced ruh-SELL) brings a 312-122 (.719) career coaching record to the Spiders, including a 102-30 (.773) mark over the past four years. He led Bucknell to six-straight winning seasons and four-straight years of 22 wins or more. The Bison’s 102 wins over the past four years are the most in a four-year span in the history of the Patriot League and they also posted a 64-8 (.889) league record in that period. During that time, Bucknell advanced to the postseason four-straight years with a pair of NCAA Tournament and WNIT appearances. Roussell has guided Bucknell to a program-record 12-game winning streak in each of the past three seasons (2016-17, 2017-18, 2018-19) and a program-record 29-game home winning streak. His Bison teams have posted a 84-20 (.807) record on their home court during his seven-year tenure as head coach. The Bison won the Patriot League title and the top seed in the tournament this season after sweeping second-seeded American and third-seeded Lehigh. Bucknell had its best offensive season in program history this year, setting program single-season records in points scored (2,462), field goals (875), 3-pointers (283) and assists (529). Bucknell’s four-straight postseason appearances is the best run in program history. Roussell led the Bison to a 22-10 record in 2017-18, including a 15-3 mark in league play, finishing second in the standings. Bucknell accepted an invitation to the WNIT and played at West Virginia to cap the season. Roussell had a banner year in 2016-17 as well for the Bison, leading the team to a 27-6 overall record and a 16-2 mark in Patriot League play. He won the Patriot League regular season and tournament titles in impressive fashion, while earning his second Patriot League Coach of the Year award. The Bison earned the No. 14 seed in the NCAA Tournament in 2017, facing off against third-seeded Maryland. Bucknell’s postseason run started in 2015-16 with a then program-record 25-8 overall record and a 17-1 league mark. The Bison tied for the Patriot League regular season crown and he earned his first league Coach of the Year honor. Bucknell was invited to the WNIT and won the program’s and the Patriot League’s first-ever postseason game with a victory at Akron, before falling to Michigan on the road in the second round. Roussell turned around the Bucknell program almost immediately upon his arrive in Lewisburg, Pa., for the 2012-13 season. The year prior to his arrival, the Bison only won five games and he improved that mark 10 wins in year one with a 15-15 record – his lone season at Bucknell not over a .500 winning percentage. He finished as a finalist for the WBCA Spalding Maggie Dixon Division I Rookie Coach of the Year Award in 2013. He continued to build the program and in year two at the helm, helped the Bison post a winning record at 16-14, Bucknell’s first winning season since 2008-09. The Bison earned a bid into the Women’s Basketball Invitational postseason tournament for the first time in program history. The rise kept coming in 2014-15 as the Bison finished with an 18-12 record, the most wins for the Bison since 2007. Much of Roussell’s success at Bucknell has been a result of his ability to quickly develop talent and meld it with the team’s veteran players. Under this guidance, Bucknell earned three Patriot League Rookie of the Year award winners from 2014-16 and one of those student-athletes – Claire DeBoer – went on to earn Patriot League Player of the Year accolades in 2016-17. Prior to his time at Bucknell, Roussell spent eight years (2004-2012) as the highly successful head coach at the University of Chicago where he compiled a 161-50 (.763) record, including a 52-5 mark with a 43-game regular season winning streak over his last two seasons leading the Maroons. Roussell logged the most victories and highest winning percentage of any women’s basketball coach in Chicago’s 41-year history. He guided the Maroons to the only three University Athletic Association outright championships in program history. Two of those came in his last two seasons, both on perfect 14-0 league records. Roussell’s Chicago teams made four NCAA Division III Tournament appearances and advanced to three Sweet Sixteen appearances and one Elite Eight showing. In addition to their success on the hardwood, Roussell’s teams at the University of Chicago, one of the most prestigious academic institutions in the nation, have also excelled in the classroom. His 2010-11 team combined for a 3.36 grade-point average and in his last season, Taylor Simpson of Chicago was awarded the Jostens Trophy, given to the most outstanding Division III women’s basketball student-athlete based on basketball ability, academic success and community service. Prior to Roussell’s arrival at Chicago in September 2004, the Maroons had never appeared in the national rankings. But they were listed in the ESPN/WBCA and D3hoops.com top-25 polls in each of the last seven years under his tutelage. The program was ranked No. 1 in the nation in the ESPN/WBCA Coaches’ Poll in 2006-07, and his 2011-12 team was ranked No. 2 for most of the campaign. Roussell was the UAA Coach of the Year in 2008, 2011 and 2012, and he was the WBCA Regional Coach of the Year in 2011 and 2012. Roussell coached six of the 10 1,000-point scorers in program history, he mentored 15 different all-conference performers in eight seasons and had players earn All-America honors in 2005, 2011 and 2012. His teams posted a higher victory total than the previous season in seven of his eight years at Chicago. Roussell is a 2001 graduate of the University of Iowa, where he double-majored in journalism/mass communications and political science. In 2002 he began a two-year stint as a graduate assistant women’s basketball coach at Minnesota State. 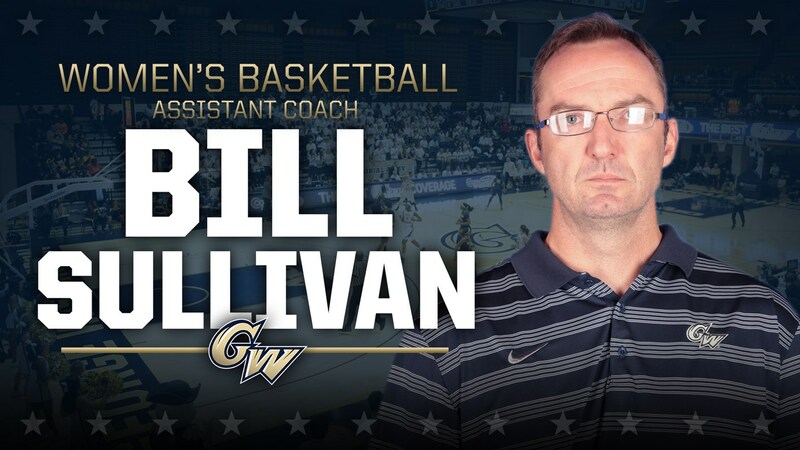 In addition to his coaching duties, he completed a master’s degree in sports administration. 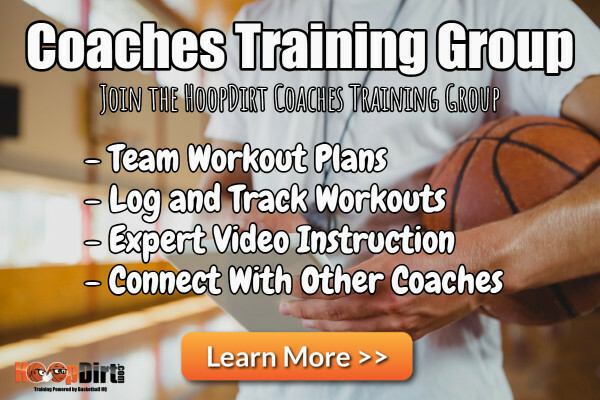 His first coaching experience came at the high school level, where he was the boys’ varsity assistant coach and head JV coach at Breck High School in Minneapolis, Minn., in 2001-02. Roussell and his wife, Molly, have an eight-year-old son, Riley, a four-year old daughter, Kelsey, and a one-year old daughter, Kendall.